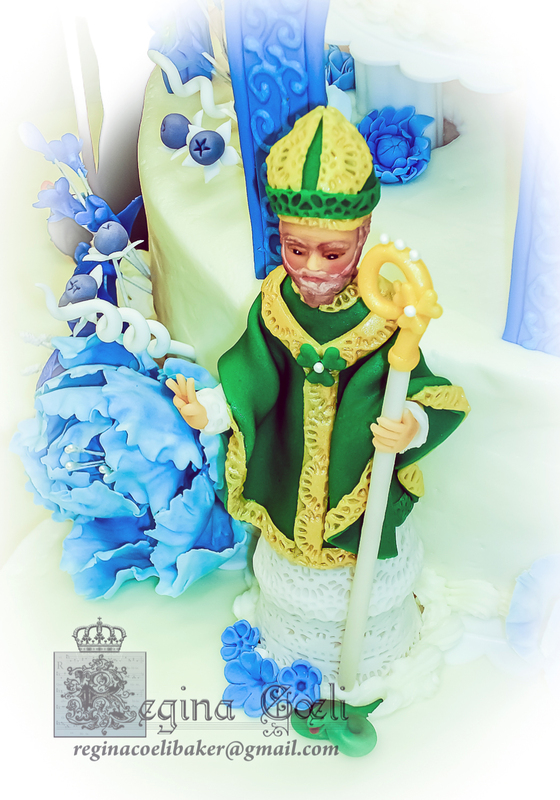 The following cake was submitted by Anna, from Regina Coeli Baker for the upcoming March feasts of St. Patrick and St. Joseph. 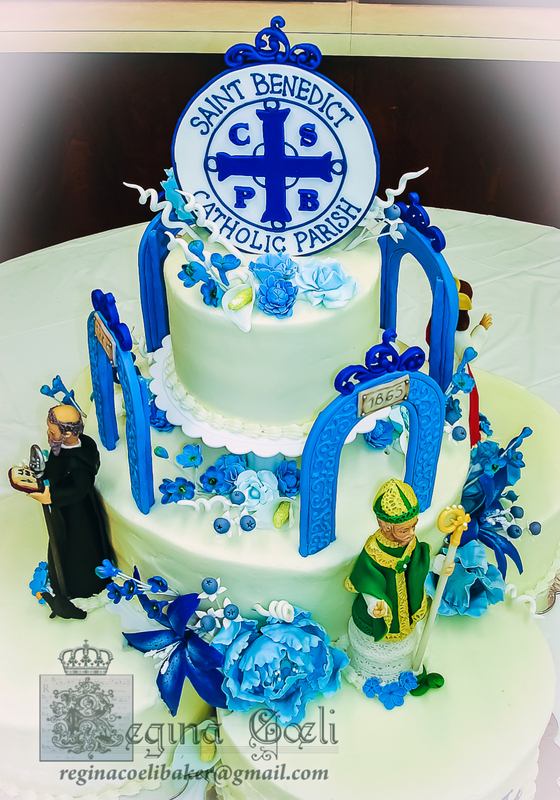 You can find additional cakes decorated by Regina Coeli Baker here. Thank you, Anna! 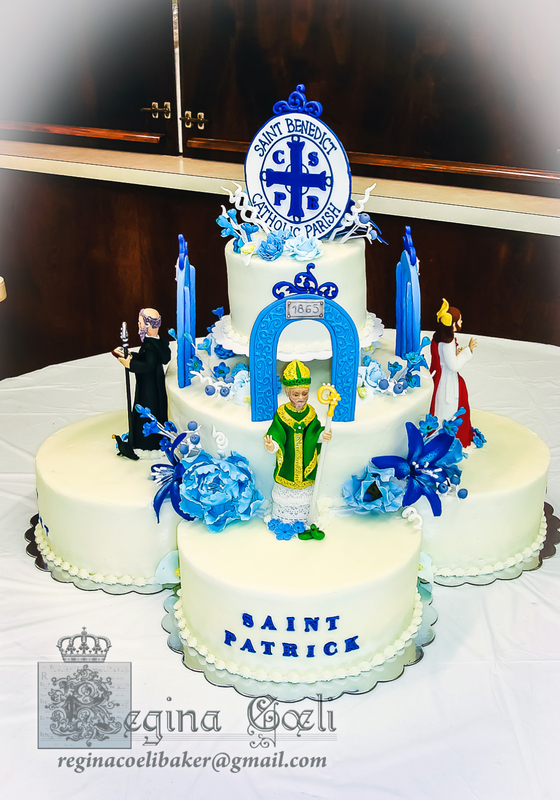 I decorated this cake for the 150th Anniversary of St. Benedict Parish. It is a cluster of four Parishes, St. Benedict, Sacred Heart, St. Patrick and St. Joseph. 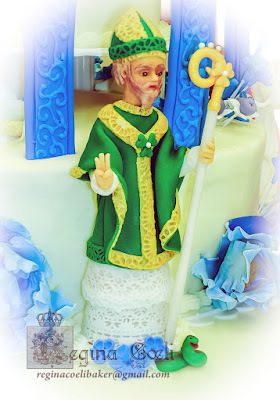 The statues of Saints were totally edible and built on ice cream cones. Flowers are hand modeled with fondant. Topper and arches in pastillage. Tailor made cakes for every saint. Chocolate with Chocolate filling for St. Benedict. Red velvet with cream cheese filling for the Sacred Heart of Jesus. Green with almond filling for Saint Patrick. 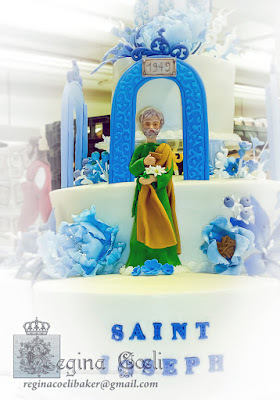 White cake with rum buttercream for St. Joseph. Also a yellow cake tier with dulce de leche filling. Covered with buttercream. St. Patrick, pray for us! 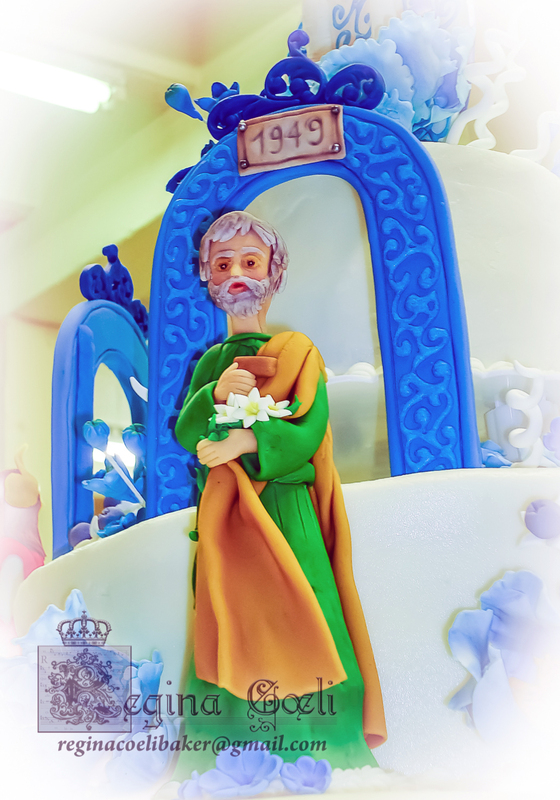 St. Joseph, pray for us! No, you did not go through all of that and allow anyone to actually cut that up and eat it, did you? �� So much work and then gone! Oh the cake humanity!! Hello ladies, I'm humbled by your comments. I worked on this cake several days... day and night! And I took the guests a couple of hours to make it disappear... The statues of the Saints were spared... we hid them from hungry little ones. It is sad indeed to see the cake being torn apart, but after all, I do bake as an offering, A.M.D.G.